Back in October and December we ran a very generous promotion with Amazon Business on Head For Points. For a limited period, it is now back and we wanted to also share it with our Shopper Points readers.. 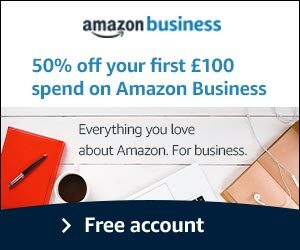 If you have your own business and sign it up – for FREE – to Amazon Business before 12th February, you will be emailed a promo code for 50% off your next purchase, up to a maximum £50 off. Virtually all items on the Amazon UK website which are sold directly by Amazon, not from third party sellers, are included. When we ran this offer in October, a lot of readers had problems receiving their voucher. Initially this was due to an IT problem with Amazon which was fixed. However, some readers still had problems due to GDPR data protection issues. You can find out more on the registration page here. Remember that you won’t see any details of the 50% discount code there, but sign up with your company details and it will arrive around 48-72 hours after you receive your initial welcome email. The full terms and conditions are here. 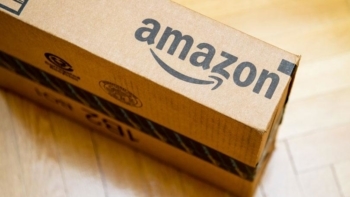 The deadline for signing up to Amazon Business to get a 50% discount code is 12th February. You will have until 17th February to use your discount code. I tried this 4 days ago as I am self employed. The process was not easy as they wanted a VAT number and even though I left it blank the account would not verify. I had live chat and they referred me to email. Within 24 hours I had an email saying my UTR would be sufficient. I followed their new link to update and each time it was refused and I got the automated “unable to verify your account” message. On the last attempt I screenshot the HMRC website showing my UTR along with a letter written by myself to myself. This has worked and I’ve got the code. Persistence pays off. Thanks to H4P and SP for reminding me to do this.